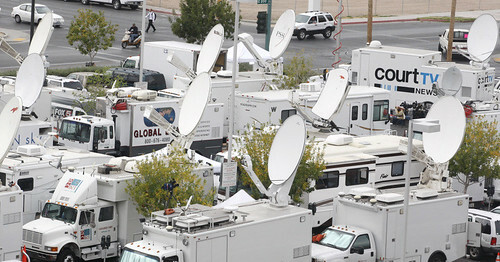 Using satellite trucks in many urban areas can be a challenge. Using microwave or other wireless methods helps, but there’s no quality substitute. Or is there? Hey, can we do without the truck? This entry was posted on Friday, October 16th, 2009 at 7:07 am	and is filed under NASA. You can follow any responses to this entry through the RSS 2.0 feed. You can leave a response, or trackback from your own site.